With NBC charging a record-setting $4.5 million for 30-second ads, it's no wonder brands are using digital media to either complement or replace a Super Bowl spot this year. But how far does $4.5 million go in buying digital Big Game ads? To find out, Adweek asked a group of media buyers and experts, most of whom commented off the record about individual ad prices. The upshot? Advertisers do get more for their money with digital, but it comes with a hefty premium price. "With [a $4.5 million] budget, you can run a YouTube masthead, Snapchat sponsored story, sponsored Instagram ad, promoted Twitter trend and a Yahoo homepage takeover and still have money to spare," said Adam Shlachter, chief investment officer at DigitasLBi. Here are four different pieces of digital media that roughly add up to the same price as $4.5 million Super Bowl spot. Twitter's one-day Promoted Trend typically costs marketers $200,000. But according to multiple media buyers, that number doubles during the Super Bowl to at least $425,000. 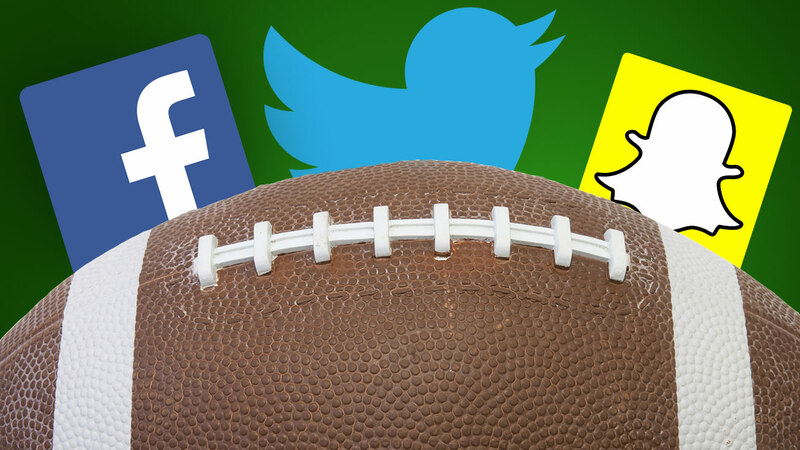 Twitter considers the Super Bowl a premium event when brands up their real-time marketing game. Other premium events include the Grammy's, Oscars and the NCAA March Madness. Per one source, the Promoted Trend on Sunday will reach 55 million users. A Facebook Reach Block guarantees that brands' promos show up in 100 percent of a target audience's newsfeeds at least once a day. The ads can hit an audience of 100 million users, per sources, up to five times per day. Multiple sources said that these ads can cost $950,000 or more this Sunday, depending on the size of the audience that an advertiser is targeting. UPDATE: An earlier version of this story said a Super Bowl Reach Block would more than double in cost compared to other days, but another source contended that Reach Block pricing does not vary—even on "premium days" like Sunday. According to one ad exec, a masthead placement on YouTube costs a minimum of $300,000 to $400,000 for one day and can go up to $800,000 on Super Bowl Sunday. In lieu of a $4.5 million in-game ad, that means that advertisers could takeover the prime ad space on YouTube for five and a half days. The battle for video ad budgets between YouTube and Facebook has heated up in recent months, with some examples indicating that Facebook is winning in grabbing views. Still, YouTube is a go-to hub for brands to distribute Big Game videos. Per Google, more than 115 Super Bowl ads and teasers were posted to YouTube by Tuesday. And the ads have been watched more than 80 million times so far, up 75 percent year-over-year. At a whopping $750,000 for a one-day promo, social-geared brands could buy six days worth of ads on Snapchat for the same price as a Super Bowl ad—only to have them automatically disappear. Brands need to pay $750,000 price to run ads on a regular day, so it's possible that advertisers are spending more to get ads in front of Super Bowl viewers, who will presumably use the app while watching the game. Marketers employ promos on the social app to sponsor messages that are viewable for 24 hours. Samsung, McDonald's and Universal Pictures have all tested the ad format in recent months, with commissioned research indicating that the promos effectively lifted brand awareness. Regardless of the platform, the increase in prices for digital ads shows how online advertising is increasingly on par with TV with more demand from advertisers. "It's all driven by scarcity, which is why the TV spots are so expensive," said Ian Schafer, CEO of Deep Focus. "At this point, it's not because of how many people they reach—it's because there's so few of them."